Artist Bern O'Donoghue explains the moving story behind her work Dead Reckoning ahead of its installation in the Museum as part of Refugee Week 2017. I am a frequent visitor to the British Museum and it has always been a place of great wonder for me – amazing artefacts and thousands of stories waiting to be discovered on every floor. As an artist who makes work encouraging people to understand each other, it’s my great pleasure and honour to be invited to present my current project Dead Reckoning in the Great Court on Sunday 25 June 2017 as part of Refugee Week. Members of the public help install Dead Reckoning 2016 at Who Are We? Tate Exchange March 2017. Photo: Richard M Williams. I am a Brighton-based artist making socially engaged work. Since 2010 I’ve invited members of the public to consider how the words we use might shape our understanding of each other. Dead Reckoning installations use data collected by the International Organisation for Migration to examine myths about people who are either displaced, or on the move. The project began in April 2015, when I heard about two terrible incidents near Lampedusa, in which two boats sank just six days apart. 1,200 people drowned in the blink of an eye. Like many other people, I was so distressed that I couldn’t tear myself away from the news. I became especially concerned about the language used by some journalists and politicians to describe the people on the boats, as it was very fearful and negative. I searched high and low for names of the people who had died without success. I wanted to find out why they would take such dangerous journeys. All I read was of ‘swarms’ and ‘invasion’. I realised that I had to make some work to bear witness to the loss of life and turn the spotlight back to the human beings behind the statistics. Discussion with young children and their parents about the meaning of the boats in Who are We? Tate Exchange 2017. Photo: Richard M Williams. 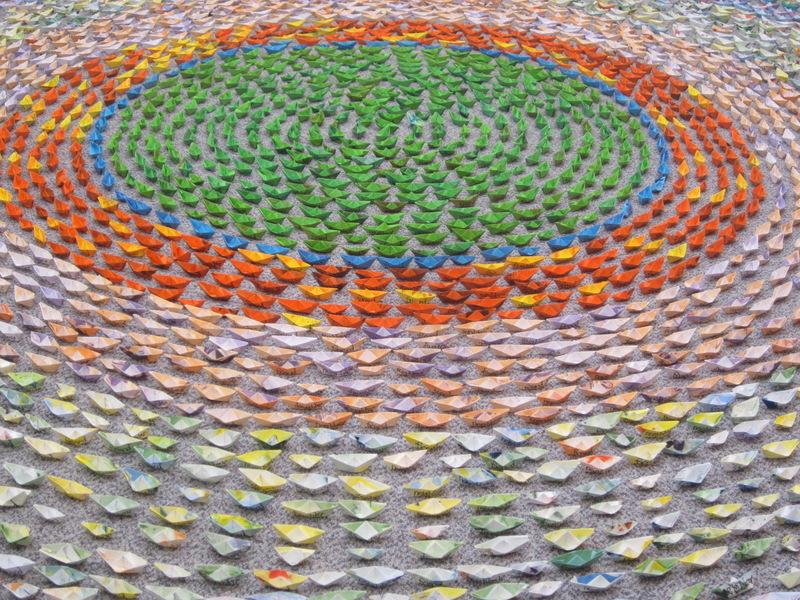 I began marbling paper in my kitchen and folding it into thousands of paper boats. I found making the work in the space where my family gather most helped me focus on what we have in common with those forced to take such perilous journeys. 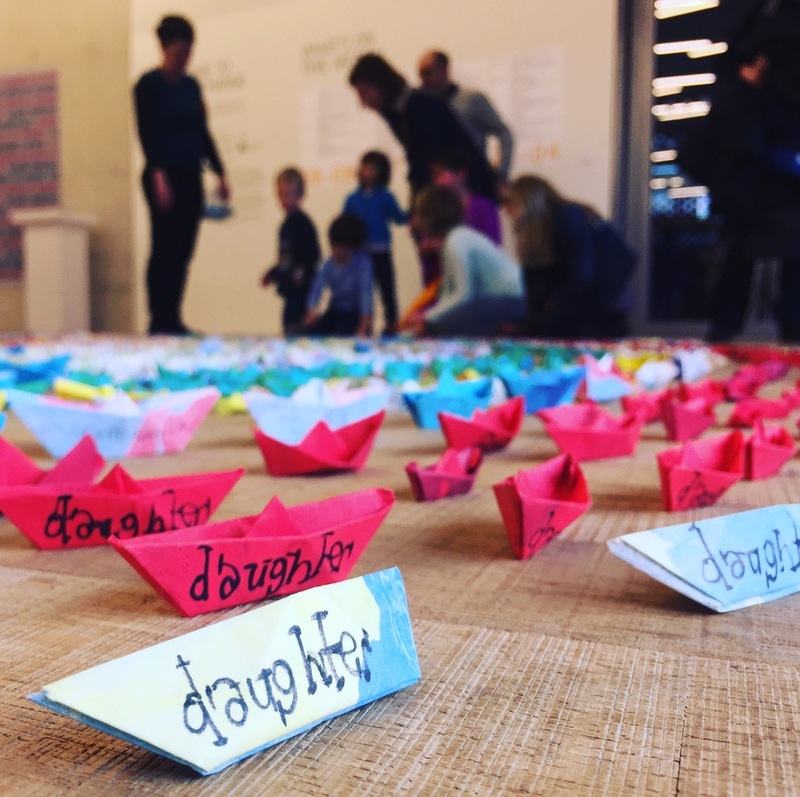 From April 2015, each time someone is recorded as missing or drowned in the Mediterranean trying to reach Europe, I have made a boat to represent each individual loss of someone’s brother, sister, neighbour or friend. I hope taking the work into the public arena will encourage others to also consider the similarities we share with these people. As the project has developed I have been able to present the statistics in different ways. 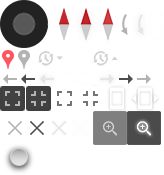 For example, Dead Reckoning 2016 is colour coded so you can see month by month which is the most dangerous time to travel. Sadly for some, there still seem to be few safe means of reaching Europe, so deaths continue to rise, and this has resulted in my continued production of boats throughout 2017. This year they will be adorned at random with one of the 23 officially recognised languages of the EU. I look forward to being able to tour them as many countries as I can. Dead Reckoning 2016 is composed of 5,143 boats and takes 14 hours to install. 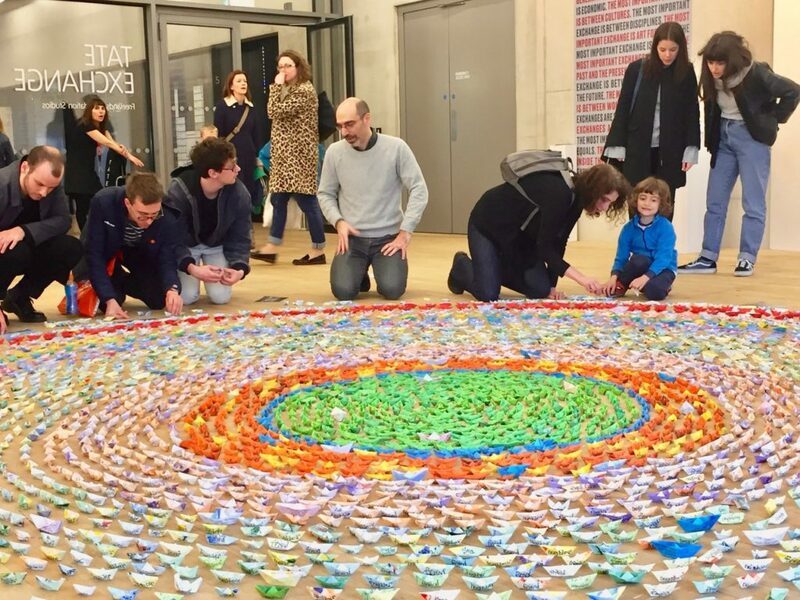 Many hands make light work though, so I’m hoping to see lots of visitors at the British Museum on Sunday 25 June who will assist me in completing this piece of work, as a celebration of our diverse communities, with hope for a shared future. See Dead Reckoning at the Museum on Sunday 25 June 2017, as part of Refugee Week 2017. Refugee Week UK is a nationwide programme of arts, cultural and educational events that celebrate positive contribitions of refugees. It is coordinated and managed by Counterpoints Arts. This year it runs from 19 to 25 June and the theme is Different pasts, shared future.